The Phelps-Hatheway House, an elegant Georgian-style home in Suffield, Connecticut, is a prominent architectural landmark in the Connecticut River Valley and one of the finest 18th century homes in the entire region. Located on the Connecticut River between Hartford and Springfield, Suffield, Connecticut, (population 13,555) began as a farming community in 1670. At various times over the years, Suffield boasted two papers mills, a distillery-cider mill, a cotton mill, and a one-half mile racing track. The Windsor Locks Canal was built by hand between 1827 and 1829 to circumvent nearby shallows on the river. Immigrants who worked on the canal project, especially those from Ireland and Poland, brought their families to settle here. The tobacco industry has been the single greatest continuing commercial enterprise in Suffield, and today, small tobacco farms and dairy farms still dot the landscape. Suffield provides rural flavor in a suburban setting, including more than 43 square miles of open countryside. Some agricultural lands have given way to housing developments, though local preservation efforts protected Sunrise Park, which offers a lake, hiking trails, and recreation areas to town residents. Other lands are preserved through the Suffield Land Conservancy, the Nature Conservancy, and the Farmland Preservation Program. Main Street, a designated historic district, includes the Town Green, three churches, Suffield Academy (founded in 1933), and vintage colonial and Victorian homes. The Dr. Alexander King House, the museum of the Suffield Historical Society, features period furnishings and exhibits on local history. Another historical attraction, the Phelps-Hatheway House, represents three periods of 18th century New England architecture as well as a colonial garden. The Visitors Center is a converted carriage barn that includes interpretive panels on local history. 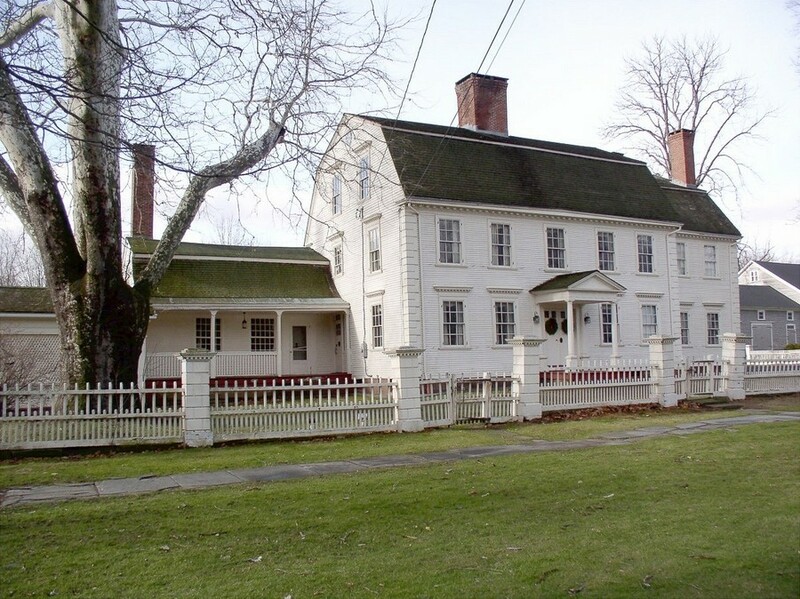 Each May, the town hosts “Celebrate Suffield,” with tours of the Phelps-Hatheway House and garden, Suffield Main Street, and a local cemetery. On Labor Day weekend, the annual Farm Fest celebrates Suffield’s agricultural heritage.